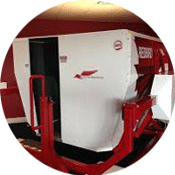 Try your hand at flying a plane all on your own from the safety of our simulator! You will fly a Cessna 172 and be guided through from starting the engine to landing the aircraft. The simulator is realistic and has full motion giving you the feel of flying. The simulator allows more hands on experience compared to the lessons in our aircraft. Step 1 - We need some details!